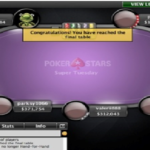 Rob “Vaga_Lion” Akery, a professional online poker player from United Kingdom wins prestigious Super Tuesday event took place on 1/10/17 at PokerStars. He pocketed a sum of $68,463 as first prize and the title of the match for the first time. 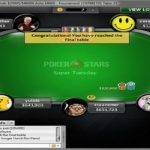 Conor “1_conor_b_1” Beresford of Netherlands satisfied with his second position and collected an amount of $63,980 from the deal. 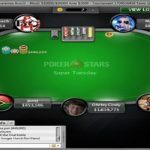 Latest tournament attracted 426 players from players of around the world including UK, Netherlands, Brazil, Greece, Mexico and most of the European countries and generated $426,000 as total prize pool. As usual top 62 finishers et paid at this particular $1,050 buy-in No Limit Hold’em event. 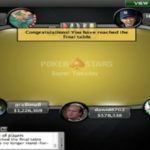 Previous Sunday Million champion Fred_Brink busted to 63rd place and couldn’t able to do more. 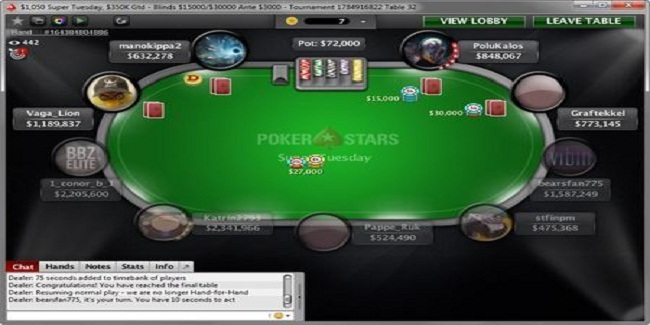 Final table of the game was set just after nine and half hours of play took place. Sat#1,seat#2 and seat#3 were for players from UK, Netherlands and Mexico and they were PoluKalos (866,067 in chips), Graftekkel (806,145 in chips) and bearsfan775 (1,590,249 in chips). Seat#4,seat#5 and seat#6 were for players from Romania, Netherlands and Greece, while the names of the players were stfinpm (478,368 in chips), Joep “Pappe_Ruk” van den Bigaart (527,490 in chips) and Katrin2793 (2,344,966 in chips). Meanwhile seat#7,seat#8 and seat#9 belongs to players known as Conor “1_conor_b_1” Beresford (2,208,600 in chips), Rob “Vaga_Lion” Akery (1,192,837 in chips) and manokippa2 (635,278 in chips). First player hit the rail was stfinpm of Romania. He busted to ninth place just a couple of hands took place. He made $6,368.65 from the title. Joep “Pappe_Ruk” van den Bigaart of Netherlands busted to eighth place for $8,688.56, while bearsfan775 of Mexico got busted to seventh for a total winning share of amount $11,853.49. 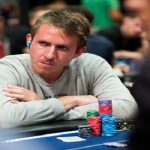 Graftekkel was at sixth for $16,171.25, PoluKalos (United Kingdom) busted to fifth for $22,061.85 and Katrin2793 of (Greece) busted to fourth place for $30,098.13. Brazilian manokippa2 goes for third for $41,061.75 and then after this removal, the game took place for over 30 minutes and there were no results. Two remaining players at heads-up i.e. Rob “Vaga_Lion” Akery and Conor “1_conor_b_1” Beresford decided $6000 for the winner.